Hospital Records' Brazilian golden boy S.P.Y sent d&b heads the world over into a state of rapture two years ago when he dropped his expansive, soulful and technically breathtaking debut album 'What The Future Holds'. That record showcased his ability to move seamlessly from the sunny vibes of his homeland to the dark sounds of the d&b underground, and on the upcoming release 'Back to Basics Chapter One', S.P.Y returns with a pneumatic drill and a shovel to go deeper than ever. These tracks will feature alongside nine others on the full release of 'Back to Basics Chapter One', which is bursting with collaborations and new directions for a producer at the very top of his game. 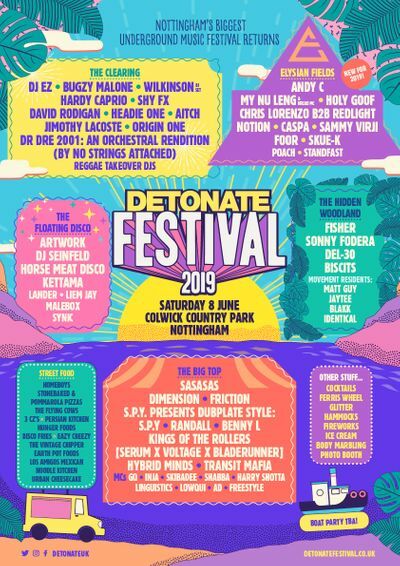 Catch S.P.Y at this Friday's Detonate Festival Launch Party, where he is headlining alongside Goldie and Youngsta, with Break, Mumdance, Matt Jam Lamont, the Prototypes and more joining him at Stealth.